Has your new home just been completed and you are looking for a new lawn to match? Perhaps your existing lawn needs replacing? 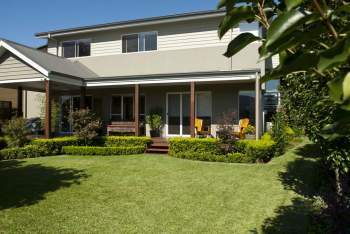 A well presented lawn and garden not only looks great but also increases the appeal and value of any property. It also provides a welcoming, cool space. There is a significant temperature difference in area that is covered with cement or paving to one with lawn. We can recommend and supply the most suitable turf for your needs. Our turf is delivered to you in slab form, not rolls, which are prone to falling apart. Slabs are much easier for yourself or your chosen turf installer to lay and quicker establishing.